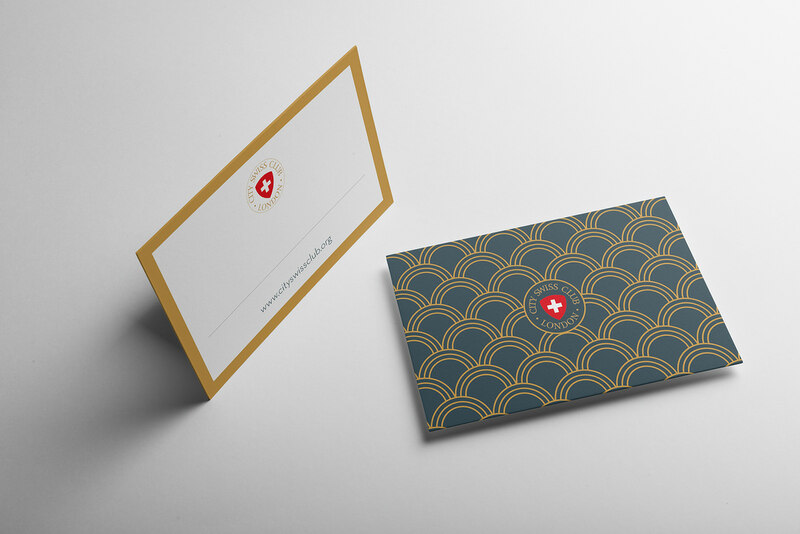 Problem: City Swiss Club were holding their 148th ball at Claridge's and came to on-IDLE looking for an elegant design for their collateral. 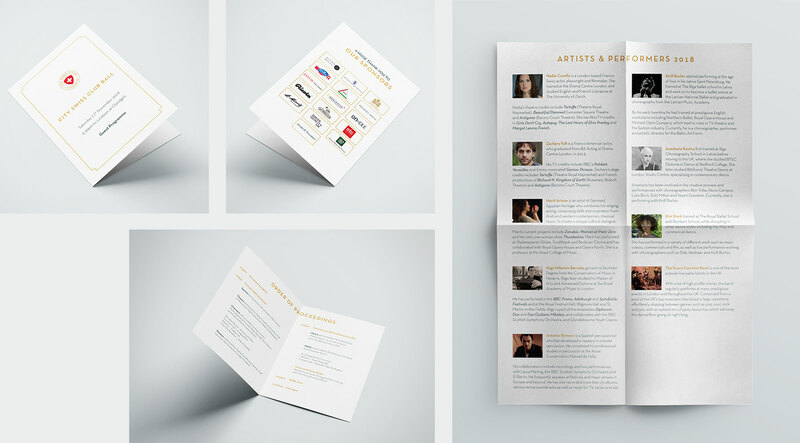 As well as this, a MailChimp campaign that aimed to promote the happenings of the event, seek sponsors and sell tickets. 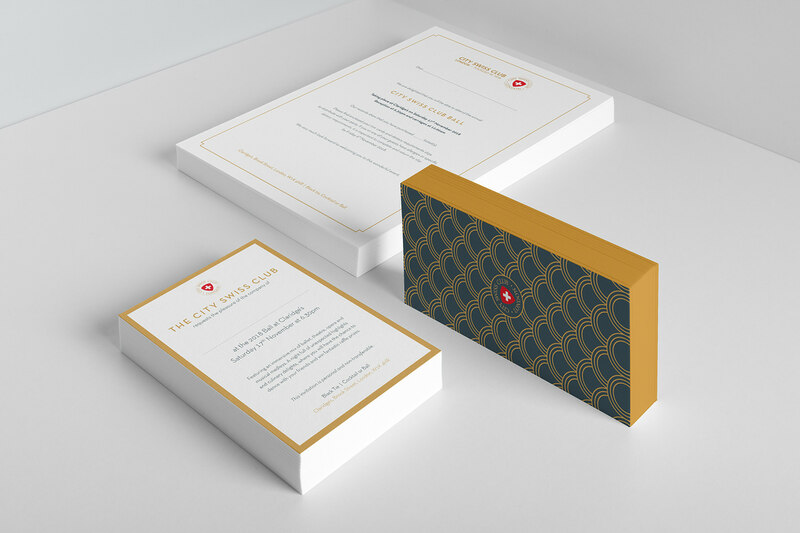 Solution: Inspired by the art-deco location, a design used consistently for a wide range of print items; invitations, flyer, confirmation letter, table place-cards, table names, raffle prize list and programme. Alongside this, the MailChimp campaign used the same design elements, which were adaptable with different types of content throughout the campaign. 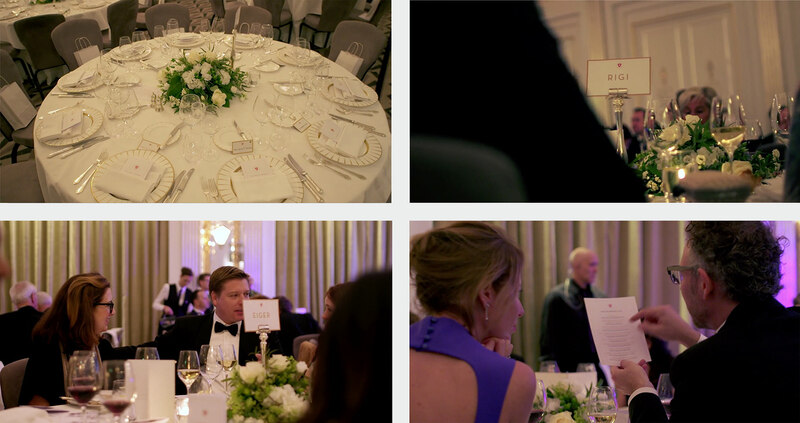 Highlights: Seeing all the print items on location and in use – especially in such a prestigious location!